A Rodin outside a chicken shop in Essex is one of around 150,000 public sculptures on a list of the UK’s art that is being made available online. The artworks will be added to the database run by the charity Art UK over the next two years. It is the largest sculpture cataloguing project undertaken in the UK. There are significant sculptures in public places dotted around the UK – here are five you might not have spotted. French sculptor Auguste Rodin wanted his 1882 statue Eve to be part of his Gates of Hell project. Rodin worked on the unfinished project until his death. 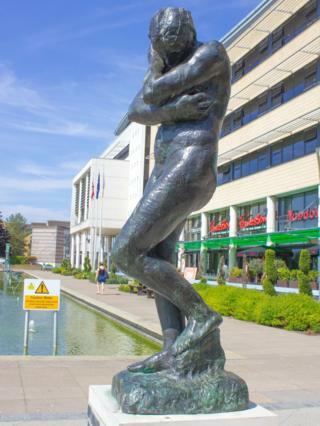 Today, this cast of the statue has pride of place outside a string of chain restaurants in the Water Gardens shopping centre in Harlow, Essex, after being bought from Paris’s Rodin museum. The Rodin isn’t the only sculpture in Harlow. 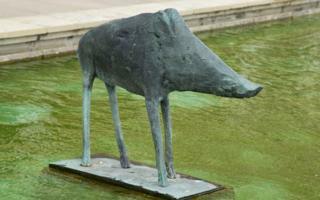 This bronze boar by Dame Elisabeth Frink keeps the ducks company in the Water Gardens. Frink was a celebrated sculptor and printmaker, who has sculptures in many locations around the UK, including Winchester town centre and London’s Grosvenor Square. 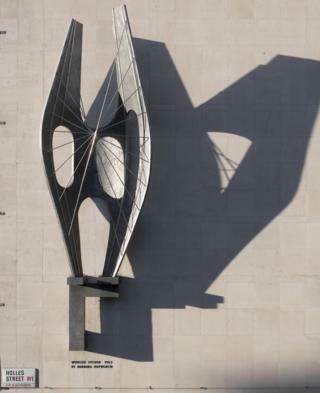 Barbara Hepworth’s Winged Figure isn’t on the database yet, but it has soared above shoppers on London’s Oxford Street for more than 50 years. The Grade II-listed sculpture on the east wall of the John Lewis building was unveiled in 1963. 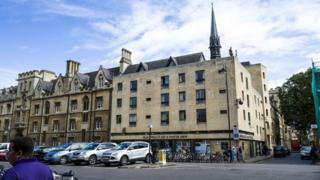 Sir Antony Gormley may be best-known for the Angel of the North in Gateshead or his figures at Crosby Beach, but there’s another of his works among Oxford’s dreaming spires that’s less easy to spot. The 7ft (2.1m) statue of a naked man was commissioned by Exeter College, and is part of Gormley’s sculpture series Another Time. 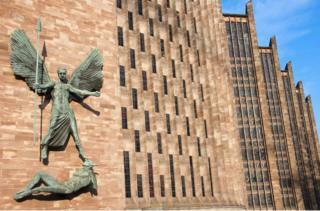 St Michael’s Victory over the Devil is shown in this statue by Sir Jacob Epstein, mounted on the side of the rebuilt Coventry Cathedral in 1958. American-born Epstein was one of the champions of modernism. He became a British citizen in 1910.